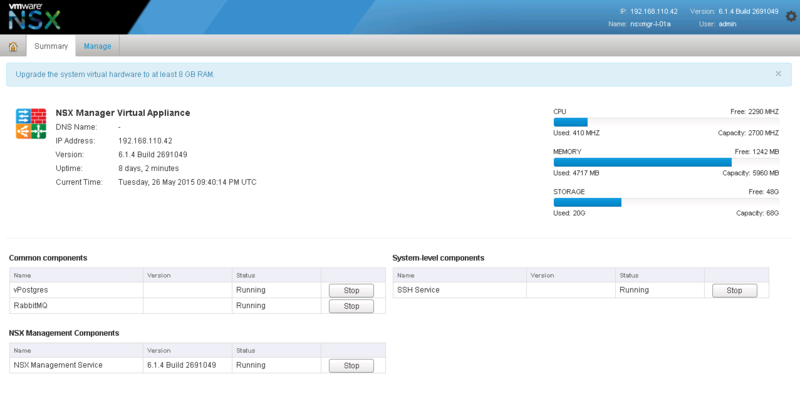 To troubleshoot NSX Manager service issues, the main place you will want to look is the NSX Manager log. To access the log, log into the NSX Manager service via SSH, and run the following command. If the service is crashing, or not starting, you can look at the bottom of the log to see the latest entries and it should give you more information on why it’s not starting. To view the log from the bottom up, run the following command.